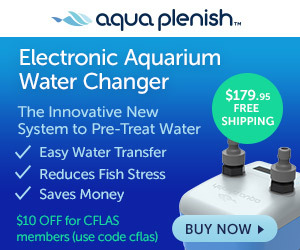 The CFLAS Community Calendar is a wonderful way we connect artists passionate about aquatic-themed art, with the aquaculture community. We love featuring high-quality, full-color printed wall calendars featuring aquariums, fish, and other aquaculture type artwork and photography created and captured by hobbyists and local artists. Anything goes, as long as it has to do with the theme! All net proceeds of calendar sales during our pre-order period are donated to a local charity, like the Jenny Albert Sea Turtle Foundation and Guy Harvey Ocean Foundation. Calendar sales benefit a variety of organizations and individuals, including our selected local charity, each of our featured artists, the Downtown Arts District of Orlando, CityArts Factory, our calendar sponsors, and helps fund future Central Florida Aquarium Society events. Your artwork, accompanied by your name, website, and contact information displayed for an entire month, on the walls of hundreds, in their home or office, at the ultra low price of free! Want to get in on this? Submit your high-resolution artwork. All artwork will be printed in 8.5″ x 11″ landscape and should be a minimum of 2,550 x 3300 pixels at 300 dpi or greater, preferably in a lossless format (TIFF, AI, PSD, PNG, or uncompressed JPEG) for maximum quality. Include a brief description of the piece being submitted, and perhaps tell us a little about yourself. If you want any additional information included like an email address, website, Facebook or Twitter handle, be sure to include that. Although we cannot guarantee it, be sure to mention a few months you might want to have your piece under and we will do our best to make it happen. As much as we would love to accept all pieces, placement is also not guaranteed, as there are only 12 months in the year! There is no charge to you to submit your pieces or be featured. By submitting artwork, you confirm that you own the rights to the art. A separate form will be sent to each of the finalists to sign, attesting to this, and that you authorize CFLAS to reproduce your work. Enter as many pieces as you’d like! 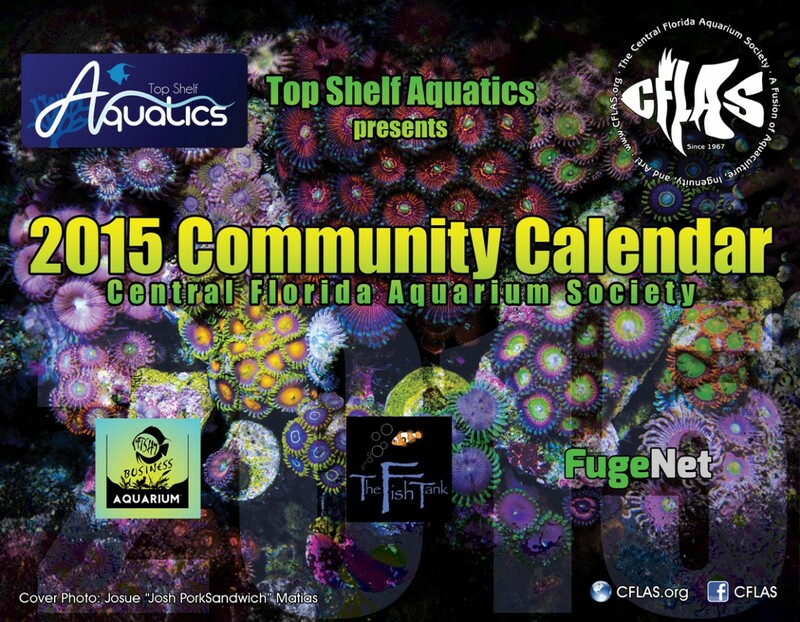 The Central Florida Aquarium Society's annual community calendar is a great way to promote your shop in many ways. By having your logo visible every month, displayed in your target audience's household or office, you are developing brand recognition. By having your telephone number, website, and social media information readily available, new and existing customers are more likely to engage with your online content and recommend your store to their friends, family, and coworkers. Additional calendar sponsorship details and pricing is available from our online store. In order to meet our goal of delivery as early as mid-October, we request that all sponsorship orders be received no later than October 1st. This includes your calendar order and payment, custom calendar dates, coupon offers, website and social media information, and high-resolution logo which can be submitted via email to [email protected].